How do you create an education system that does not just give people theory/ technical know-how, but develops them into potential contributors for society? The ideal of education that dominates schooling is “transmission of knowledge” from teacher to student. awakening of the infinite potential inherent in the student. How to achieve the goals of the human development ideal within the context of an existing schooling system that is clearly built on the “transmission of knowledge” ideal? How to, in effect, accomplish the dual goal of developing dynamic human capacities needed for developing human personality while mastering the “knowledge-domain capacities” required by the educational and commercial systems? This paper proposes that teachers who seek to integrate the human development ideal into the contemporary educational system could potentially accomplish their objectives if students were able to assimilate knowledge. Assimilation of knowledge means not just comprehension of ideas but the translation of ideas into a transformed human being. Put differently, “assimilation of knowledge results in developing the student’s capacity to transform – himself, the situation in which he finds himself, and the possibilities open to him – by effectively leveraging the ideas and knowledge available to him. However, a school or educational institution that seeks to promote such an assimilation of ideas by its students will need to bring about basic shifts in thinking at all levels of educational design. Assimilation means that the responsibility for self-transformation is awakened in the student. This responsibility is invoked when the teacher subtly modifies his/ her role in the classroom from “provider of knowledge” to “enabler of learning”. What is communicated by the teacher in class? In the current educational model, teachers elaborate upon what is already available in the text books or provide alternate sources of information that may be more relevant/ comprehensible. 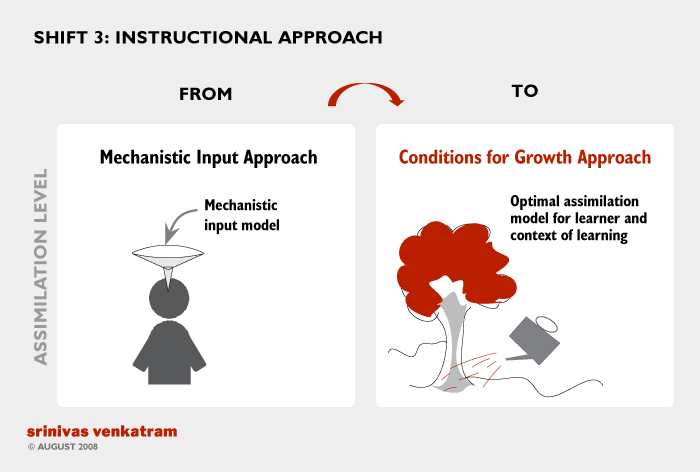 In the assimilation model, the teacher provides “triggers for learning” such that the students’ capacity to engage with the subject matter is improved. Such an approach amplifies the teacher’s contribution to the educational process and the students love for, and involvement with, knowledge and self-development. In the mechanistic input model, information is an asset that is “poured into” the students mind, much as fuel is filled in a motor vehicle. 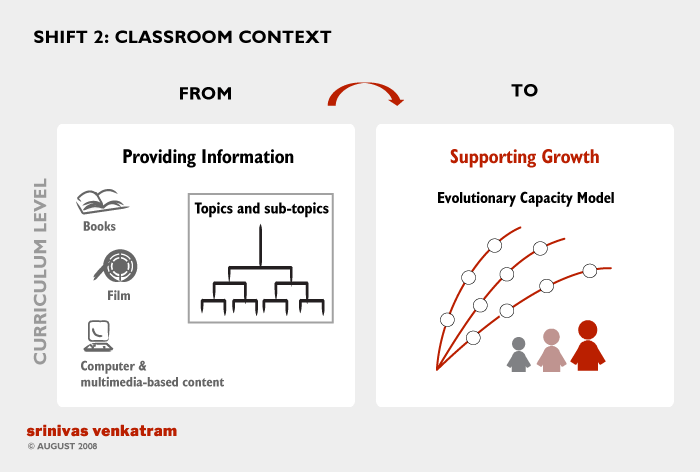 In the conditions for growth model, knowledge is viewed as a nutrient or catalyst that can invoke, speed up, and ease the students’ struggles with knowledge and capacity development. Knowledge is born in a space beyond the senses. It is born within the human being, deeper, beyond the senses. The trans-sensory nature of knowledge means that we go beyond the current obsessions with multi-media and multi-sensory education experiences to creating challenges that invoke inner excitement that comes from meeting challenges head-on. The outcome, as in the case of the other shifts, is deeper ownership of knowledge, greater assimilation of ideas, and awakening of the evolutionary potential in the heart of every student. In the assimilation model, both teacher and student are seen as “co-creators” of the learning experience. “Co-creating” involves a journey of the teacher and student coming together; who, at the beginning of the process, are ‘far-off’ from each other – not in physical or emotional terms, but in terms of knowledge. Through this process, they come together; until finally, the teacher and student become ‘one’. 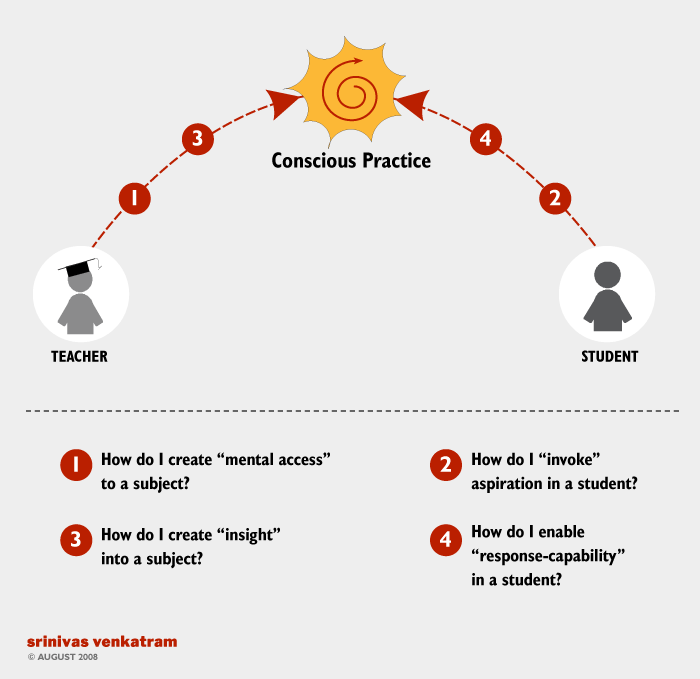 In this endstate, there is a ‘conscious’ practice that the student does, which the teacher continuously enables; until they become one single entity learning together. 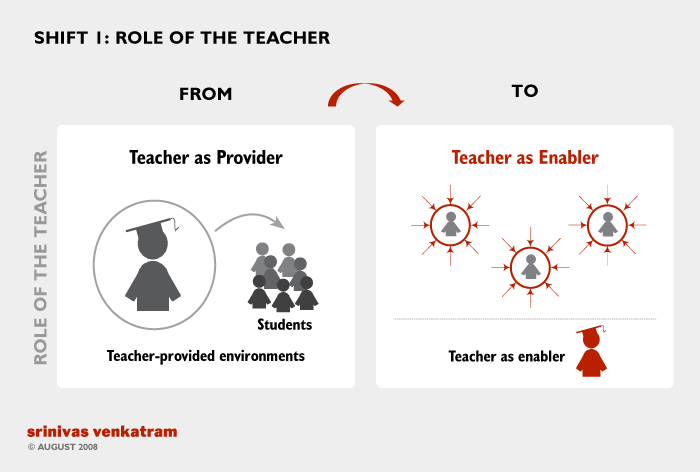 This is a vision of education that reflects an ancient Indian tradition – the idea of ‘teacher-student’ as one single whole; with the teacher enabling the student’s growth, and the student growing in the environment provided by the teacher. 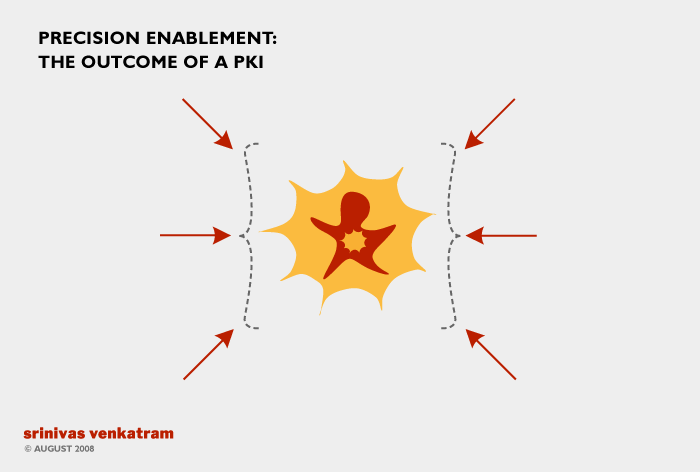 Here is a model which translates this vision of assimilation into a simple 4-step architected journey which the teacher/ educational leader can use to achieve predictable and replicable assimilation outcomes. 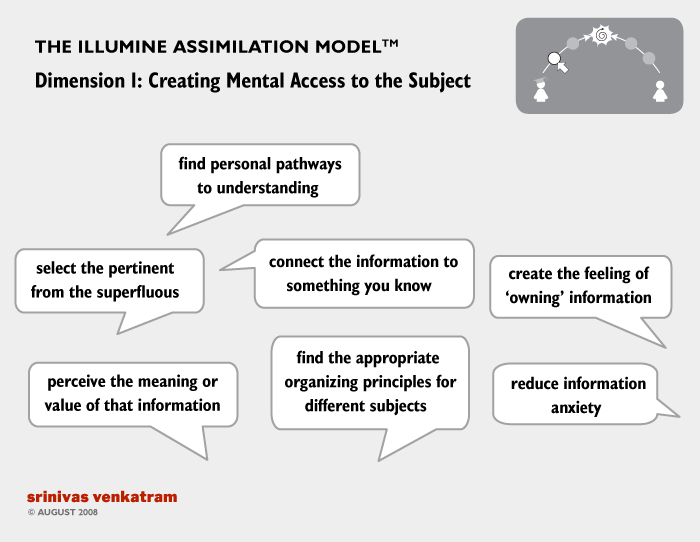 The Illumine Assimilation Model says that the teacher in any classroom needs to address four key dimensions of the assimilation challenge. Each of these dimensions is explained in the subsequent sections. Firstly, it is important to recognize that ‘mental access’ is different from ‘physical access’. A glaring example of having only physical access to knowledge, is when a student repeats something verbatim from memory but is unable to explain that subject in his/her own words. Mental Access means providing a means for the student to “make sense” of the subject matter – in the context of his/ her own knowledge and experience. One method of creating mental access is by providing a newcomer with a map. A well known example is the map of the London Underground railway. Visitors to London make sense of London by using this map, instead of using a geographical map. Mental access is not enough, because the student has to aspire to learn. If a student doesn’t seek to learn, there is nothing a teacher can do. So, the next step of the journey is that the student’s aspiration must get awakened. This requires a shift from ‘ambition’ to ‘aspiration’. The surest signal of ambition is the urge to acquire things. If a student wants to merely acquire knowledge then he/she will never feel like learning, and will instead find faster, shorter ways of getting quick results. 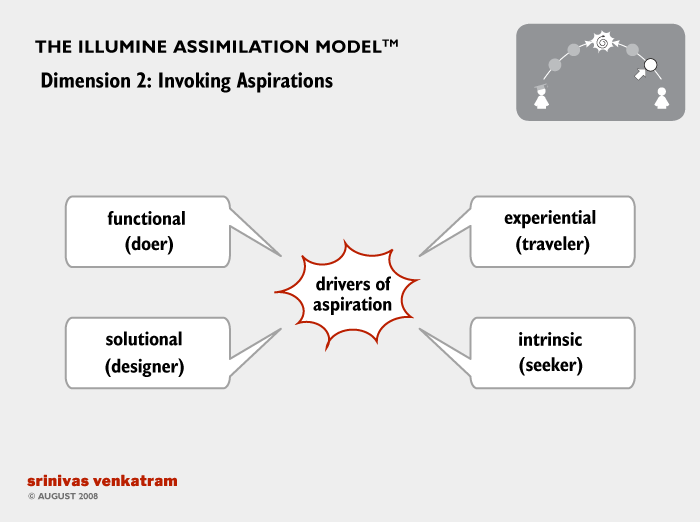 How is aspiration invoked? A student, in order to aspire for more understanding, more capacity, more assimilation of knowledge, must see the value and purpose of knowledge in the context of his/ her deeper identities. Students have different identities with respect to knowledge. If the student somehow acquires a “victim identity”, he says “I am a victim to the system, a victim of my teachers, and my parents’ requirements.” For such a student, engaging creatively and freely with knowledge becomes very difficult. In the light of the above, an effective teacher enables students to identify and adopt appropriate identities that encourage assimilation of knowledge. 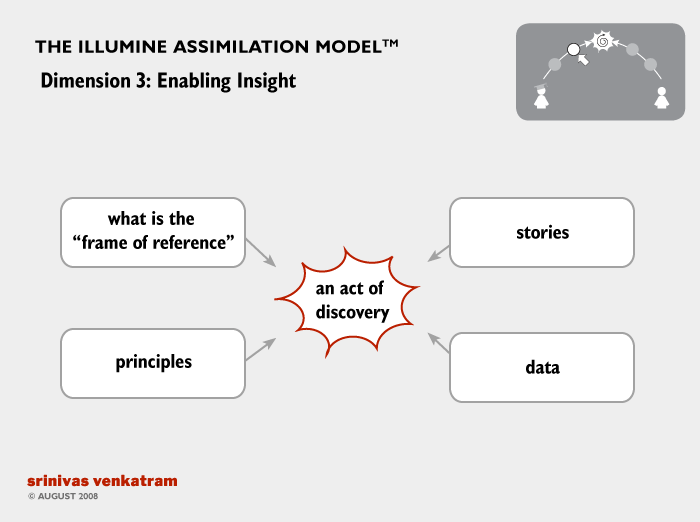 The third step in the Assimilation Model is enabling insight. Insight takes place when the student develops an “inner recognition” of the ideas being presented by the teacher. This “inner recognition” is an act of discovery by the student. The role of the teacher at this stage (after providing mental access, and invoking the aspiration of the student) is to provide triggers for this act of discovery. Students achieve this inner recognition through a variety of mental capacities. They include reasoning (the use of data), perception (the use of “frames of references”), narratives (the use of stories), and principles (the use of scenarios). The teacher encourages the development and utilization of these mental capacities in the student, thereby enabling discovery and recognition of inner knowledge / insight in a more predictable and systematic manner. 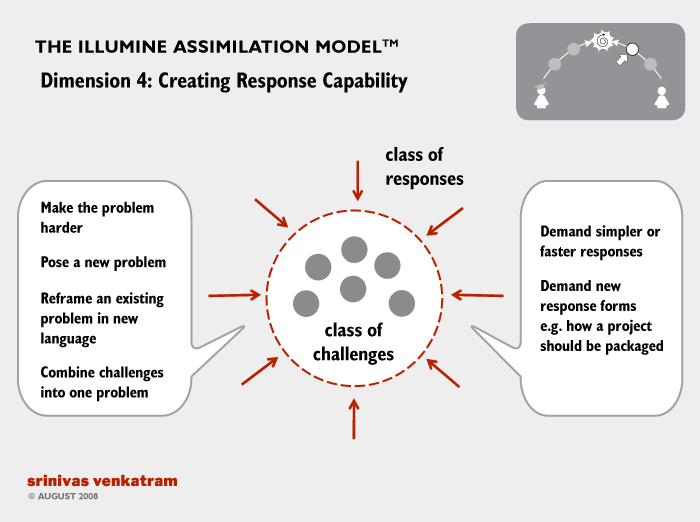 The fourth step in the Assimilation Model “creating response capability”. Once “inner knowing” is created within the student, the teacher now awakens this knowledge so that it manifests as dynamic human capacity. 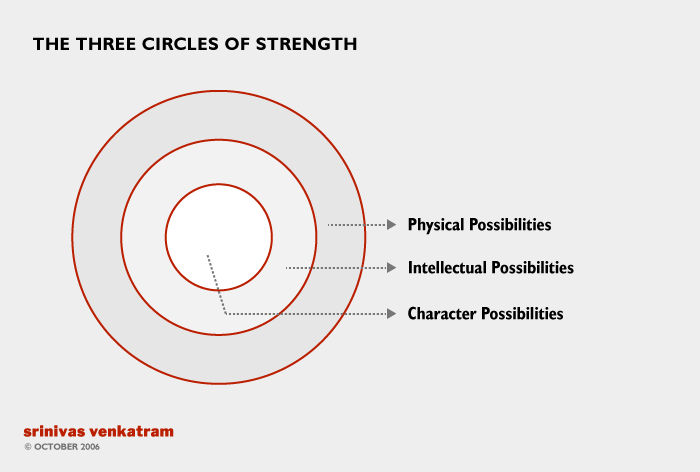 This manifestation of dynamic human capacity takes place when the student faces appropriate (not too hard, not too trivial) challenges – both within the knowledge domain and the real-world domain. How is a challenge different from problems set in every examination? The difference lies in the outcomes we seek. A teacher who sets “problems” wants “answers” or “set solutions” to the problem. A teacher who provides “challenges” seeks that the student “responds creatively” – without the necessity of being right or wrong. This creative response comes only when the student goes beyond the boundaries of memory (reaction) and enters the realm of possibilities and potentialities. 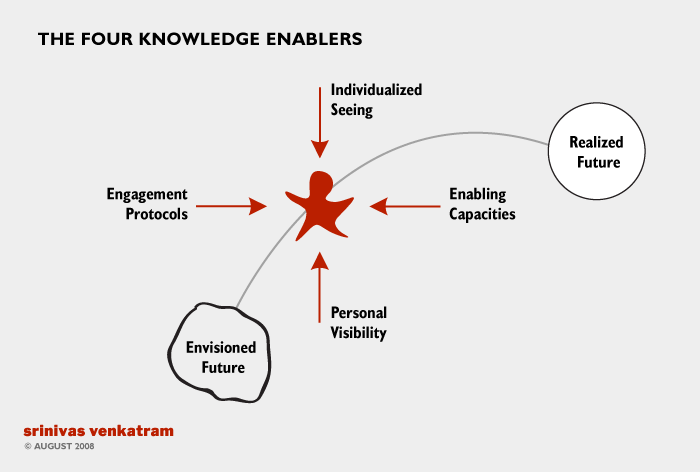 At this stage, the “knowledge” is being assimilated into transformed human potential. By this stage, the teacher has steadily enabled the student in the journey of assimilation. First, the student gained mental access and thereby made the subject “mentally proximate”. Second, the student’s aspiration was invoked as a consequence of alignment between the subject-matter and his/ her own self-esteem. Third, the student was enabled to discover insights and thereby develop “inner knowing”. Fourth, the student was encouraged to leap beyond memory and previous knowledge and enter the space of “evolution in and through knowledge”. Now, the teacher and the student are together, in cognitive terms. The goal of both the teacher and the student is now to continue to grow and evolve in all aspects of knowledge related to the subject at hand. This continued assimilation and consequent evolution will take place when both teacher and student undertake “conscious practice” of the subject – practice which is combined with awareness of potential improvement and growth. This last stage is usually the realm of truly committed teachers and truly committed students. For the rest, even one or more of the steps in the assimilation journey means a great advancement over the current reality, which we seek to progress beyond. Cognition gives us the ability to make choices, decisions, to recognize, to build new axioms and conclusions about ourselves, about the way the world works. Cognition is therefore a powerful tool for our evolution. In this talk, Srinivas explores how ‘cognition’ enables or disables us; and what does it mean to be empowered or disempowered at a cognitive level. 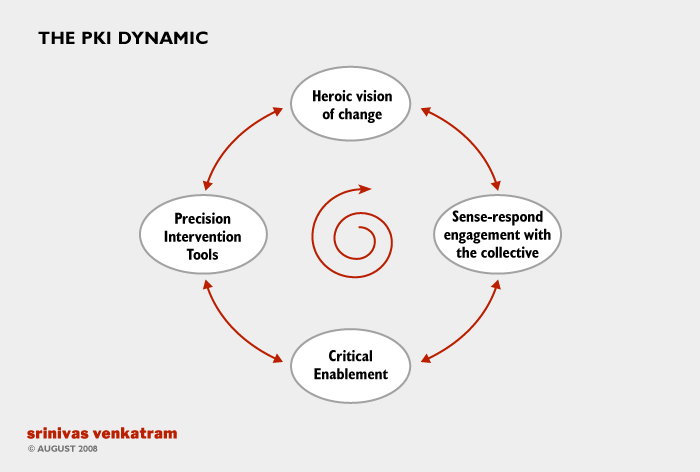 This very short essay of 7 insights was born of a struggle with the question of “vision enablement”– i.e. how to keep the vision of customer satisfaction burning bright in every employees mind. This “essay” defines “vision sharing” as the “collective act of individualized seeing” which implies that vision cannot be “given” it must be “owned”. Why should everyone perceive value creation? So that each one feels valuable. But in order that each feels valuable, one must not only define global “value” but also local/ located creation of value. i.e. each one must feel, we have created great value and I have contributed genuinely to this act of creation. This is human fulfillment at work. So how to define global value creation? One, we asked whether value resides in what the customer ‘received’ i.e. I am as valuable as what my customer perceived. This is limited as an approach. 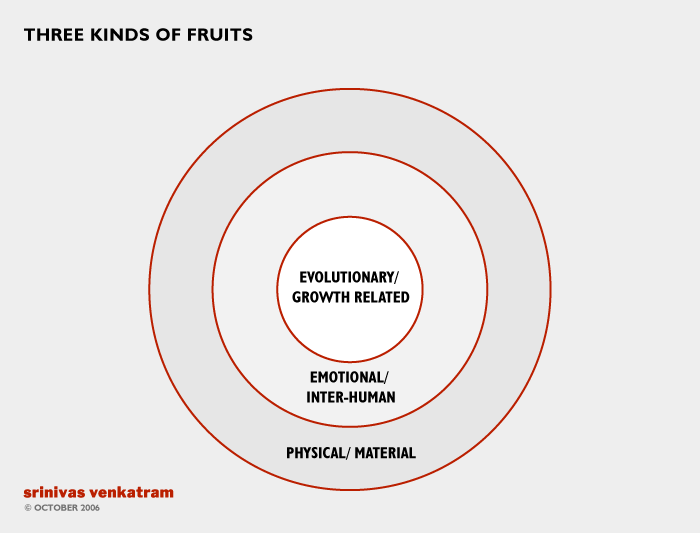 Two, we also asked whether value resides in the ‘act of creation’ – the how? Primarily because human fulfillment is itself a two part journey, one creating value as a group (what the customer received) two, contributing as an individual (act of creation). How to combine ‘customer value’ creation with ‘individual contribution to value’ into a integrated definition of value. i.e. value is neither ‘outside’ in the customer’s world, nor ‘inside’ in my mind, it is in the integrated ‘whole’ that transcends both ‘inside’ and ‘outside’. How to ‘uncover’ or ‘unearth’ this value? If it is located in the totality of ‘engagement’ (both act of creation and customer value delivered) then it cannot be mechanistically or logically isolated. It is not a product of reasoning. It is a ‘collective act of individualized seeing’. 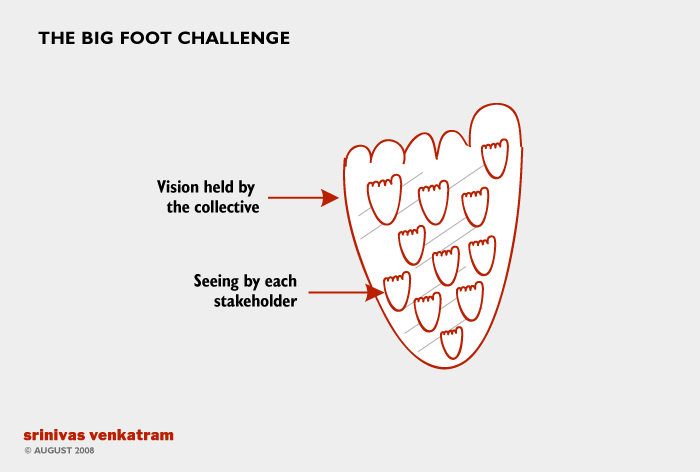 They enable “collective yet individualized seeing of an emerging whole”. This is what every person must do in the world to unfold. Each one a leader. Each one a follower. the ‘agreement’ – tacit – among all that each will do what it takes to make it happen. In almost every community we have worked with or visited, there has been one common problem, one theme, that has run through all developmental efforts. The problem of excellence. A company seeks to introduce Quality Programs, people ask why. A leader wants her team to learn more and adapt to new technologies, people silently resist it. 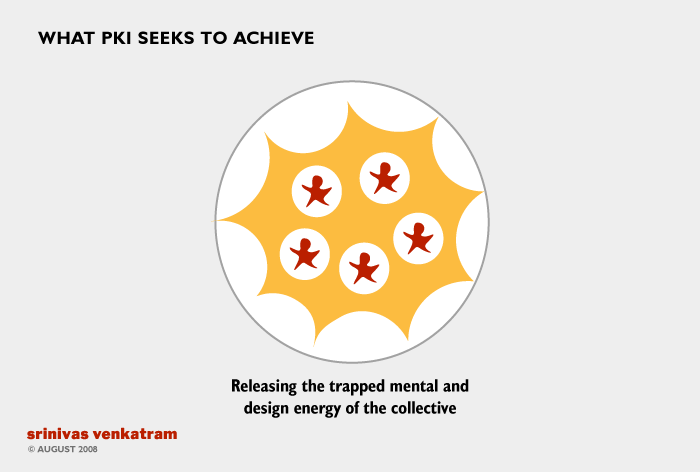 A government seeks to lay out an exciting vision of global leadership, people (in their minds!) wonder if it is possible. In other words, people are finding it difficult to relate abstract ‘good ideas’ like excellence, quality, faith, growth, achievement with the day-to-day personal and professional concerns that constitute their lives. On deeper thought, it can be seen that the same issues underlie the problems faced by three distinct groups of people (i) those who are seeking to build superior institutions, (ii) those who are seeking to compete better, or (iii) those who are simply trying to question and challenge the status quo in their individual areas of endeavour. What is the bridge between excellence and one’s own life? It appears that the bridge cannot be “external motivation” but is “internal motivation”. Put another way, one becomes excellent because one chooses to be excellent. When one chooses to be excellent, the result is an interest in all things associated with excellence. When do individuals choose excellence in their lives? When they see the relationship between quality of output and significance of life, when they recognize the meaning of performance, and when they come to recognize that learning and growing is an end in itself. What then is the “trigger” that enables individuals to embark as this cycle of growth and excellence? The trigger appears to be an encounter with quality: when individuals come face to face with people or situations or events where the value of great performance, of raw professional competence, of true meaningful effort, becomes obvious to them. This encounter could be with role models or aspirational figures, with people who are known to have excelled, or even with powerful books or films. The important thing is the encounter. But the encounter is not enough. Equally important is the necessity of practice. The opportunity to test and refine ones own understanding withinn the warp and weft of real world action. Put another way, there must be at least one or more “zone of excellence” in one’s life where one is willing to make the choices and sacrifices needed to encounter and realize excellence. Finally, what is also needed is a group of people who are willing to provide the moorings for the emotional and self-esteem related changes that such a journey involves – the enabling environment. 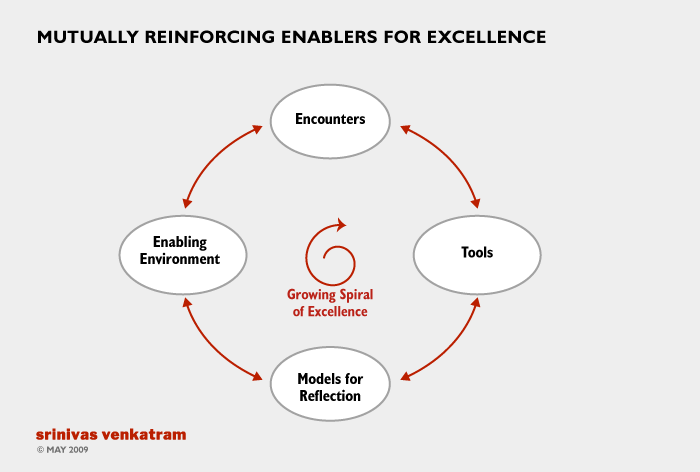 Putting these four elements together – the encounters, the tools and models for reflection, the opportunities for translating these ideas into action, and the enabling environment of role-models – constitutes the ingredients of excellence in human systems. 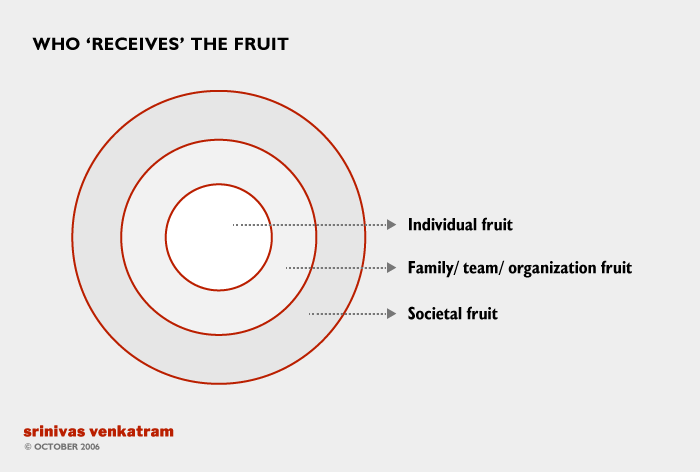 Most important, these four elements – the presence of encounters, the opportunities and models for reflection, the availability of “zone of excellence” and the presence of an enabling psycho-social environment – are seen to be mutually reinforcing if we seek sustainable interest in human excellence from ourselves and our people. Career counseling is often seen to be about helping students join the right universities, selecting the right careers, or undergoing some aptitude/ personality tests. In reality, career counseling is about freedom. Freedom to choose the right pathway for growth. Freedom to fulfill one’s dreams. Freedom to be oneself. This freedom is not easily obtained. To attain this freedom a student has to go far beyond aptitude tests and lists of colleges and universities. To attain this freedom, a jobseeker has to learn to think for himself or herself. The jobseeker must develop approaches to ‘scan’ the environment, translate day to day ‘events’ and ‘news’ into ‘career trends’ and, perhaps, most important of all, learn to understand the real relationship between oneself and society, which is that of contribution and its resultant self-esteem. These are very complex, even profound, ideas and comprise a new set of capabilities we call career management capabilities. The temptation is to pooh-pooh them and say that these ideas are good in theory but not particularly useful in practice. We may be missing something very big here. What happens if a jobseeker does not attain the cluster of ‘career management capabilities’ described above? Nothing! Nothing happens to the jobseekers career graph. He or she flounders in one of the ‘conventional’ careers – today, conventional means software & call-centers, yesterday conventional meant sales, accounts, and administration. Within this narrow, almost self defeating world, the jobseeker tries to imitate his or her friends, taking refuge in the crowd. It is in this context, that every jobseeker must consider the idea of ‘Career Design’. Career Design attempts to answer the question: How to develop one’s life in such a way that one is fully satisfied with one’s life? “Career Design” is therefore, a set of systematic methods for developing one’s life choices and paths in such a way as to be fully satisfied and fulfilled at every stage of one’s life. Is Career Design the same as obtaining a high paying job? Yes, if the high paying job is important to you because of ‘what you can do’ and not simply ‘what you get’. Is Career Design the same as ‘networking’, ‘building the right contacts’, ‘making the right moves’? No, because these are useful as ‘toppings’, but the main course is still about what you can do for the world! Is Career Design the same as ferreting out the ‘right’ jobs, sending out smart resumes, and throwing attitude at hapless interviewers. Yes, if these are seen as steps to accomplishing your objective of a fulfilling career. No, if these are seen as the way out of one’s own mental confusions. Career Design is about two fundamental axes of our career: our Aspirations and our Capabilities. A career focused on Aspirations alone – what I will get, where I will reach, etc. – is an empty career. It is such a career that must depend upon networking, ‘contacts’, presentation skills only, etc. It leads to a certain uni-dimensional evaluation of the world in terms of external measures such as money, status, position, etc. A career focused on Capabilities alone – what I can do, what talents I have, what ‘I’ am interested in, etc. – is also an empty career. In such a career, there is often an inordinate and self righteous importance given to our own, sometimes very passing, likes and dislikes in terms of what we do. It also leads to a basic impracticality in action because it is so ‘I’ centered. A truly rewarding career is one in which the apparent dichotomy between Aspirations and Capabilities are resolved into a new framework. 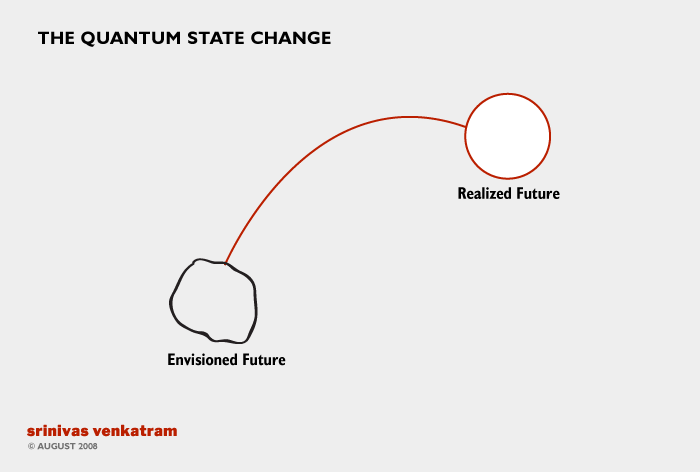 Where we are constantly mapping the two in the context of every opportunity. Sometimes our aspirations will be more than our ‘total capability set’ – thereby forcing us to develop ourselves and our talent. Sometimes our capabilities will be more than our aspirations – leading us to add more depth into our treatment of the task in front of us and further, demonstrating to our peers and colleagues that we are capable of taking on far more responsibility. 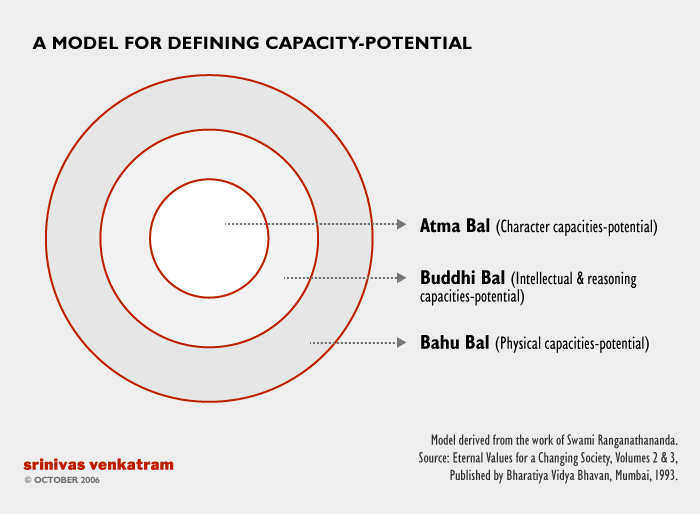 This dynamic between aspirations and capabilities is the essence of ‘Career Design’ and is the basic underpinning for building a career that is fulfilling in ‘external’ terms of money, power, status, etc. and in ‘internal’ terms of exploiting one’s own capabilities, enabling one’s talents to flower, and pursuing a passion meaningfully. Career Design then involves the dynamic interplay between our own aspirations and capabilities, wherein we are neither slave to our own whims and delusions of extraordinary talents nor are we slave to the world and its simplistic, and often de-humanizing, metrics of success. Career Design is about being free. Being free to choose one’s pathways and being free to develop at one’s own pace in life. Career Design is very obviously more than mere information collection and/ or taking up the first opportunity that looks good to us. It is also obviously more than waiting endlessly for people to discover the ‘real me’ so that my talent is recognized and rewarded in the world. Career Design is about the careful interplay of aspirations and capabilities achieved by a set of thinking tools/ tools for self-analysis, introspection, and opportunity selection. To elaborate: How are one’s own capabilities and aspirations to be unearthed? This is often easier said than done. By the time a person has reached the workplace environment, he or she has already undergone numerous life experiences, hundreds of hours of ‘education and training’, and scores of situations wherein he or she has been called upon to make choices and stretch his/ her own capabilities. To reduce all this vast experience and human learning into a simplistic degree or qualification is a travesty of the human being who has undergone the life this far. (And, to be sure, the more sensitive employers too are very uncomfortable about judging people and their potential for success by their qualifications and degrees alone). Therefore, some means are to be found which will help us map out our own capabilities meaningfully and comprehensively. At the same time, our own aspirations are themselves complex and difficult to clarify. Sometimes we like a profession (a good example is advertising) more for the external glamour than for our real ability to contribute in that field of work. Sometime we choose the profession, (again, let’s continue with the advertising example) because we are creative, like to be off the beaten track, but do not know how to translate our creativity and passion into a career path that is also rewarding – thereby ending up choosing the obvious examples rather than exploring deeper for true areas of contribution and impact. Here again, there is a need for a new set of approaches that will unearth and articulate our passions in terms of the world. This complex interplay of aspirations, and capabilities must further be viewed in the context of what jobs are actually available on the ground. To most people, the biggest challenge is simply finding an employer willing to pay one money for one’s services. This challenge becomes all the more frightening when one classifies oneself not as unique human being with one’s own dreams and talents, but as a four letter or five letter degree like B.Com. and B.Tech. Because, then, in one stroke one has reduced oneself from a striving human being, to a numb statistic in the employer’s world. This implies that we must find new ways of defining oneself in terms of the world and its use-space for us. To sum up, Career Design is all about designing a smart solution to your life situation. Not running away from this situation. Not merely struggling and fighting given circumstances with all of one’s might. But intelligently and sensitively weaving one’s way out of this tangle into a new highway of hope.